A simple dish, sometimes makes a meal so satisfying and comforting. 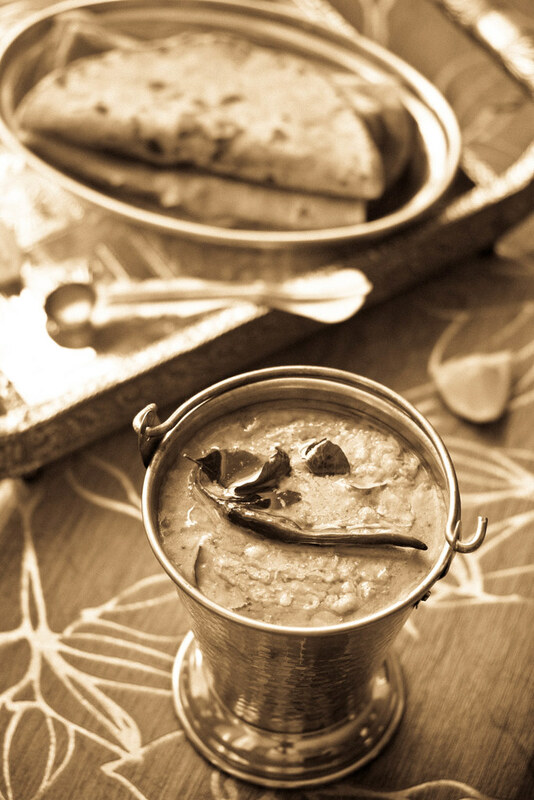 Dal Tadka is one such recipe recipe which is simple, elegant and so very delicious. 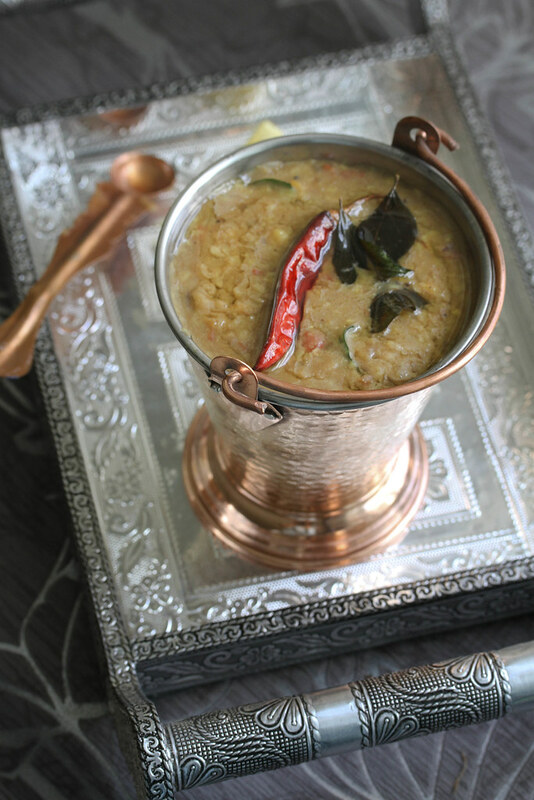 This can me made with any kind of dal or combination of different dals. I combined four different dals for this recipe, but you can always use your favorite combination. There are many versions of this dal. Some add ginger and some do not. Some add garam masala and some do not. You can modify this as you please. In a pressure cooker, add all the dals and in add enough water. Add ginger, hing and turmeric. Pressure cook till done. Mash lightly. When hot add in cumin and mustard seeds, green chilli and curry leaves. When the seeds splutter, add in onion and fry till translucent. Now add in tomatoes and fry till done. Add in coriander pwd, cumin pwd, amchur pwd and garam masala pwd. Stir taking care that spices do not burn. Now add in the cooked dal. Mix well. Add little water if it appears to be very thick. Add salt, and bring the dal to a boil. Turn down the heat to medium and cook for about 5 minutes till the dal has come together. Add a little water, if necessary to thin the dal if required, it should be neither too thick nor too thin. Squeeze in little lemon juice before serving. Serve hot with Rotis, steamed rice or jeera rice. 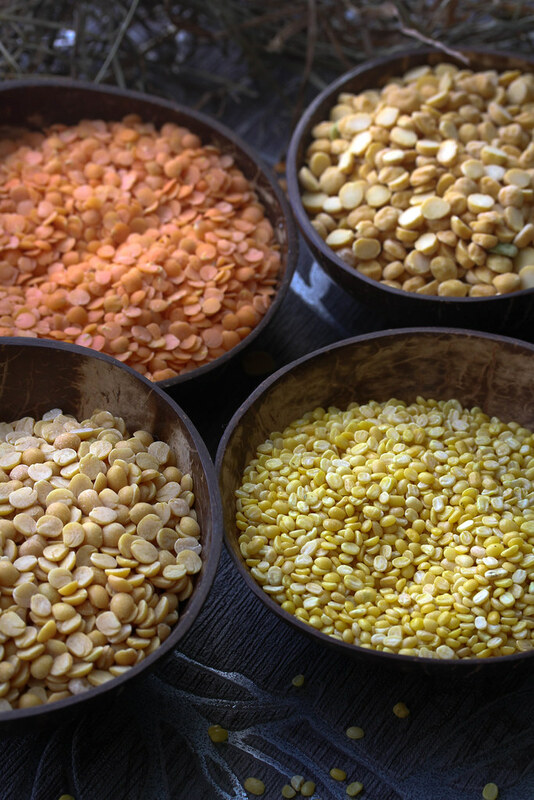 You can use any combination of dals, or use any one type of dal. Some skip onion and tomato, and make it simple. 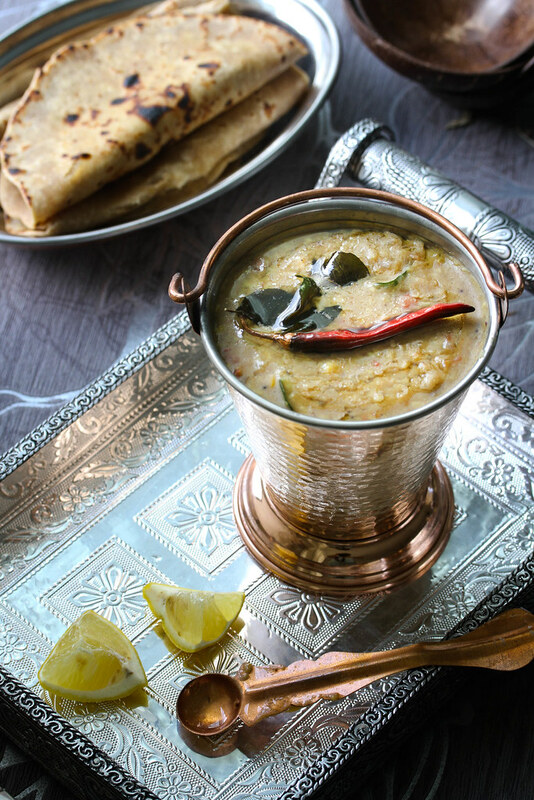 Your dal looks fantastic and you make we want to eat some right now! OMG !! What a coincidence !! last week only clicked my Balti chicken in small cute copper like you have clicked in this pic and almost all the arrangements are the same . this is incredible !! Love the beautiful clicks – so cute ! yummy roti curry. copper utencils and ur photo presentation is superb.